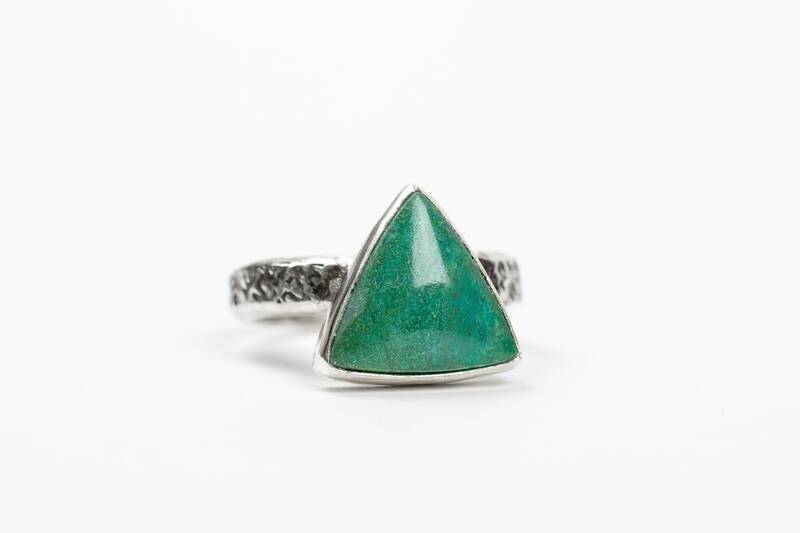 I created this Chrysocolla gemstone ring from a piece of solid Sterling Silver sheet metal that I pierced, sawed, and filed into this geometric shape. 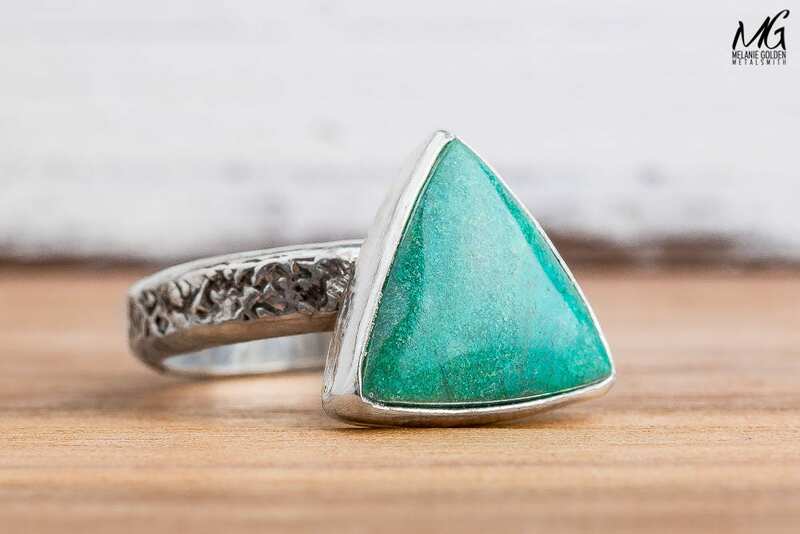 Set within the center is a beautiful bright aqua blue/green Chrysocolla gemstone. 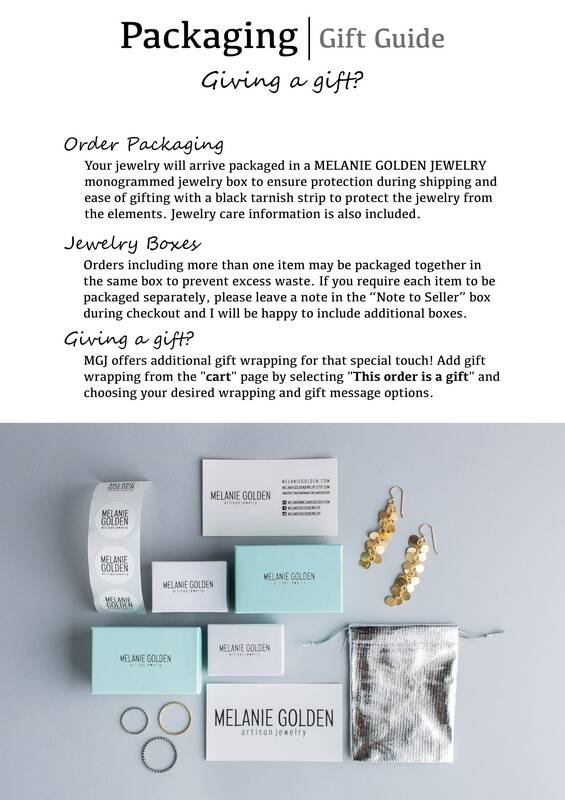 The ring has been oxidized and polished for depth. 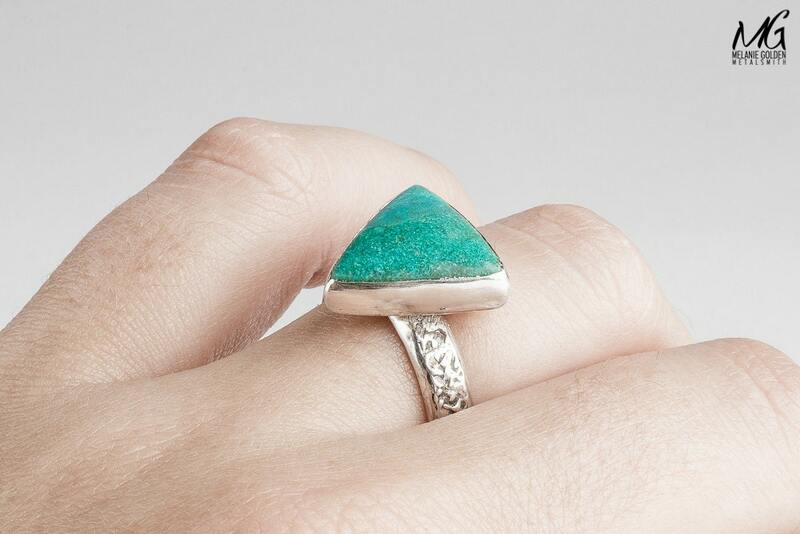 Chrysocolla has swirling Mediterreanan-blue color and bold, distinctive matrix. 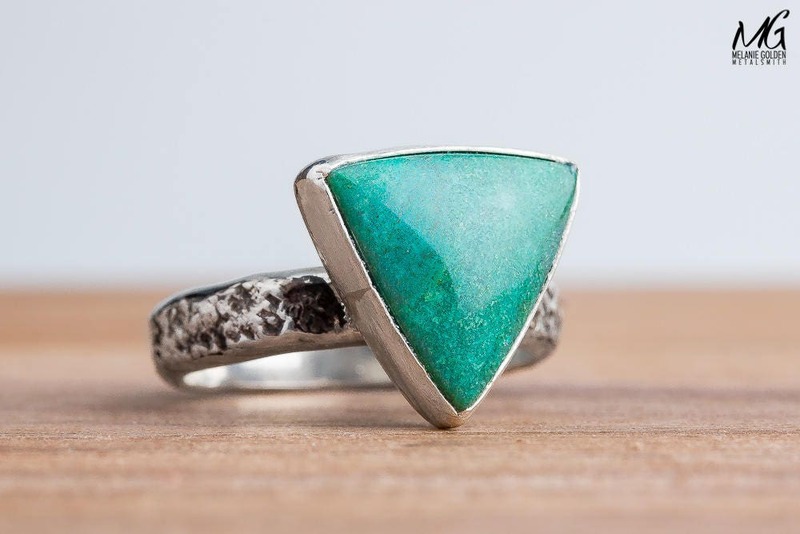 Chrysocolla is a hydrous copper silicate. It can contain traces of copper, iron and manganese oxides, and displays unique veining patterns. 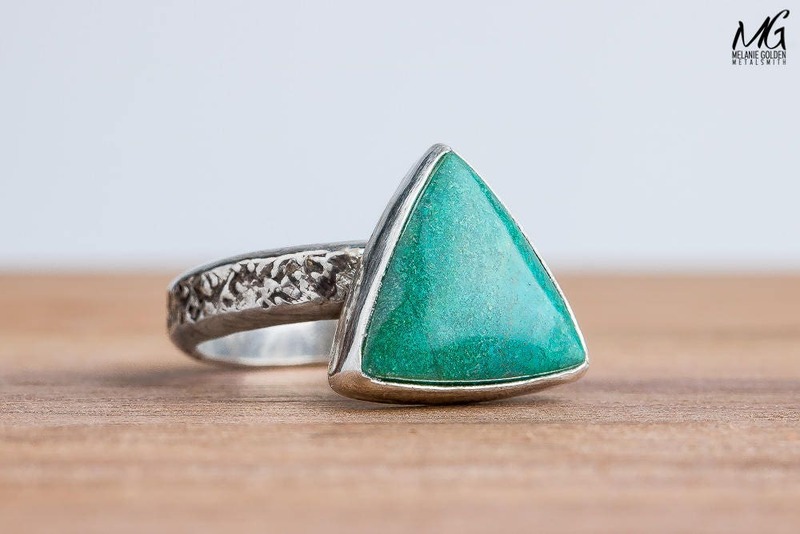 This stone is often mistaken for turquoise because the two minerals are so visually similar. 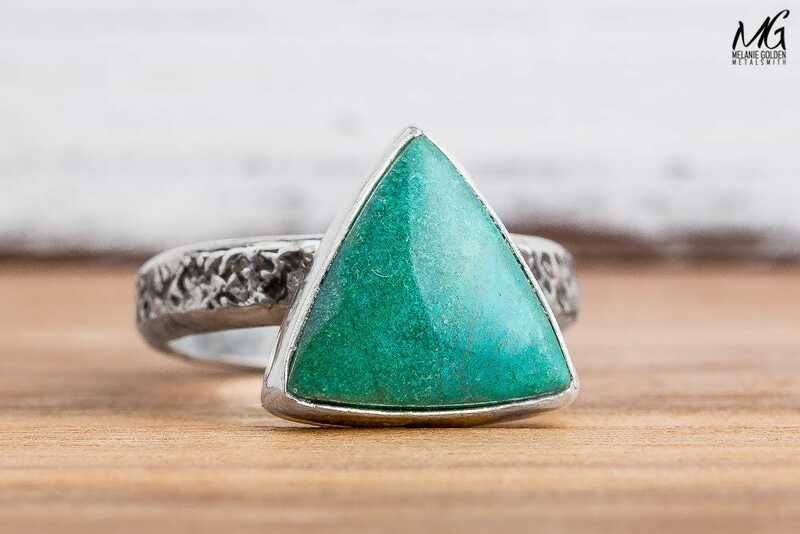 Chrysocolla is named for the Greek words for gold (chrysos) and glue (kolla), thought to be due to its resemblance to a material used by Theophrastus in 315 BCE to solder gold. 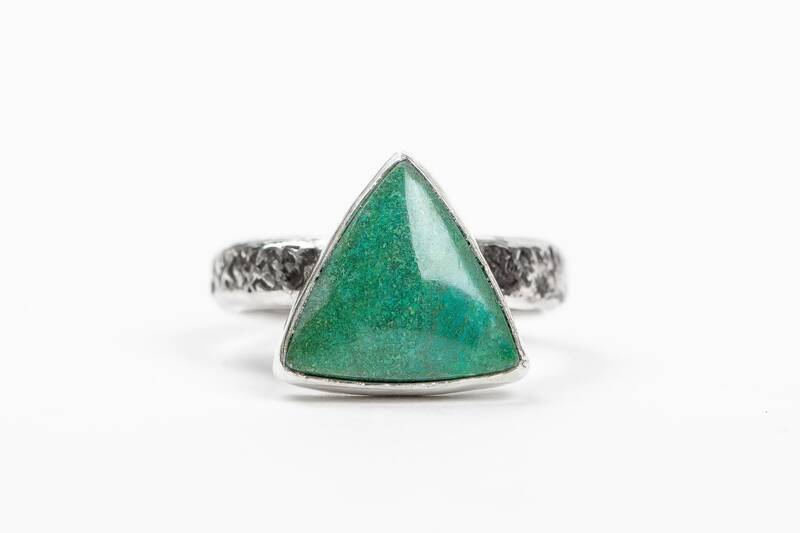 - Gemstone measures approximately 14mm x 14mm. 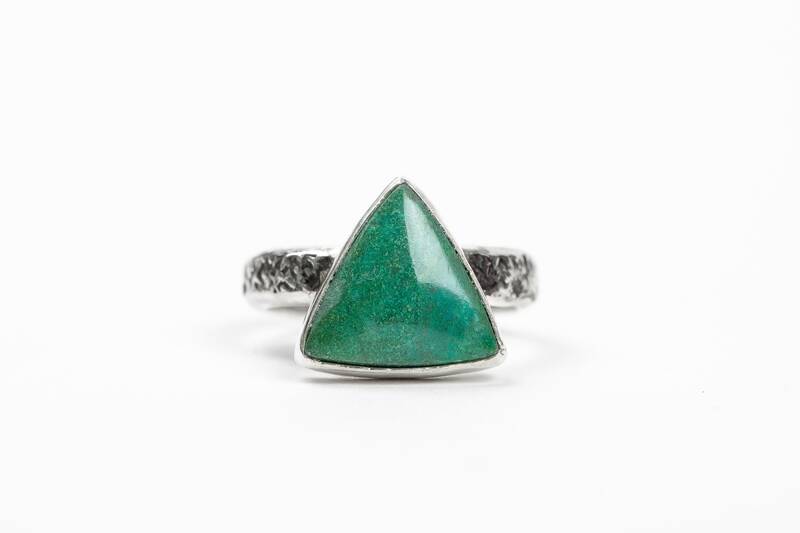 - Ring is made entirely from solid Sterling Silver and a Chrysocolla gemstone.